I remember when I first started using email (or even telnet!). Instead of writing letters or making phone calls, I would send a short message to a college friend 2,000 miles away. Flash forward ten years, and email has become the single most important medium of communication for me. However, instead of dealing with simple messages such as "What are you doing this summer?," I'm now using email for everything from personal correspondences to teaching an online Chemistry course to finalizing eBay transactions. That being said, I probably get over 100 emails a day just in my personal account, and this number is probably small compared to the inboxes of some of you reading this. 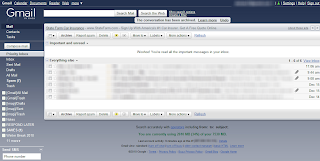 Despite receiving hundreds of emails each week, my Inbox is usually kept to a bare minimum. 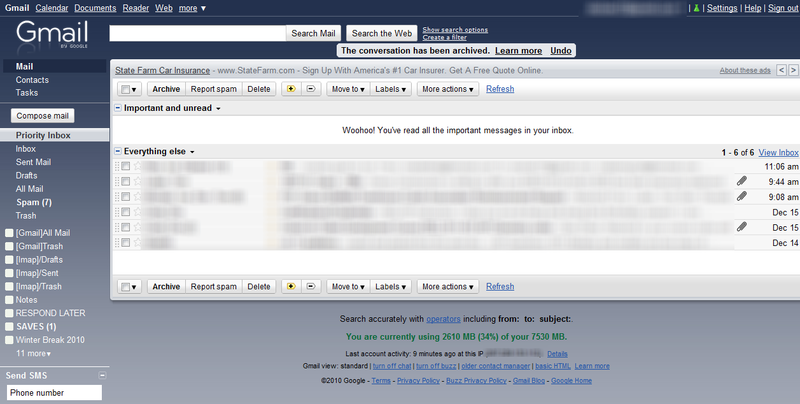 In fact, it is often a cause of distress when my Inbox contains more than 10 emails. 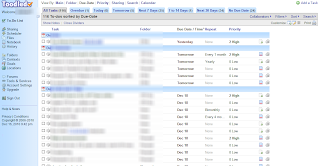 To achieve this feat commonly referred to as "Inbox Zero," I have a few triage options in place when it comes to handling new emails. Step 1) Reply and then Archive. This is the easiest way to handle emails. Whenever possible, I try to write back to any new emails as soon as I get them. If a simple response is all that is needed, I won't waste time reading and then replying later when I can respond immediately and then archive the message. With Gmail's archive feature, I don't have to worry about saving the email into a specific folder (like I used to with Outlook). 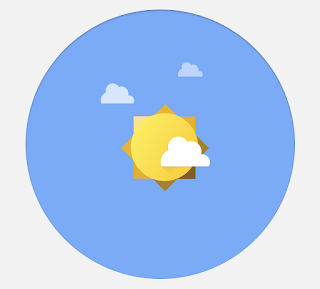 Instead, I can couple the archive with the search feature to find any email I've read or replied to within seconds. For emails that contain information about events, such as Evites, meetings, or appointments, I simply set up a calendar event and copy/paste the important information into the details portion of the item. Gmail even has an automatic event recognition feature to help you get started, but I just enter it manually to avoid any inadvertent errors. 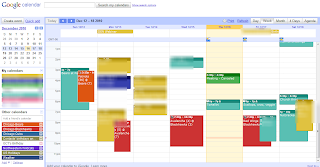 Since Google Calendars allows for sharing of calendars, I am able to add events to my personal, work, my wife's, and our joint calendar, so any newly emailed event can find a place on a calendar and free up valuable space in my Inbox. I have used an electronic to-do list for important and recurring tasks for years now, starting with Remember the Milk and now using Toodledo on a daily basis. 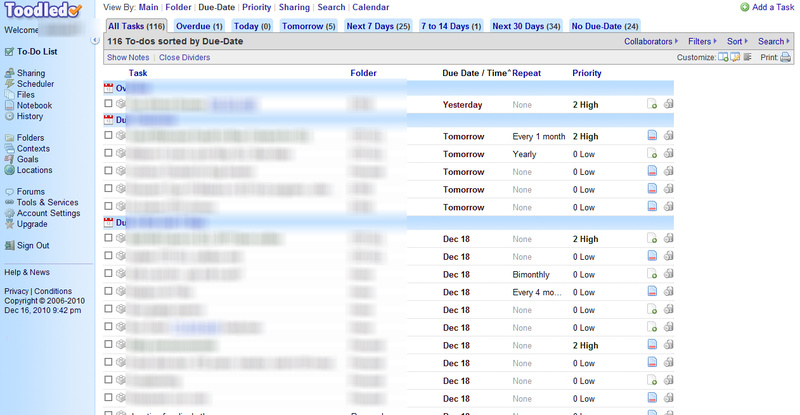 When an email contains information that I'll need to address at a later date or time, I'll create a task and similar to how I handle calendar items, I'll copy/paste any important information into the details section of the task. Links to websites (for coupon codes for example) or a link to the archived email itself can be copied directly into a task, and again, this helps clear my Inbox. Occasionally, there's information in an email that I'll want immediate access to and not have to worry about using keywords to search and find. In these cases, I'll copy/paste the message and create a note in Evernote, a great application that clips everything from web pages to emails and stores them in a scrapbook like application. The cross platform support for Evernote is outstanding, as I have apps on every computer, my old iPhone, iPad, and Android phone, meaning I have access to all of my notes no matter the location or device. At work or anywhere else for that matter, I can also access Evernote through their web application, so my important information is never more than a few clicks away. With the four steps listed above, I manage to not only keep my Inbox down, but I stay on top of appointments, meetings, and correspondence with all of my friends, colleagues, and strangers such as my blog readers. 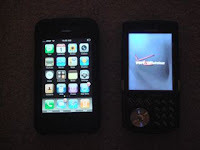 And one of the best parts about mobile technology as it develops is that it allows users to complete tasks such as the steps above at any time, and in any place. I hope that these tips help you become even more productive as well. Feel free to leave a comment with suggestions, tips, or insights into how you manage to get things done.